This Boxster was at the Pacific Grove Concours and Rally 8/21/16. 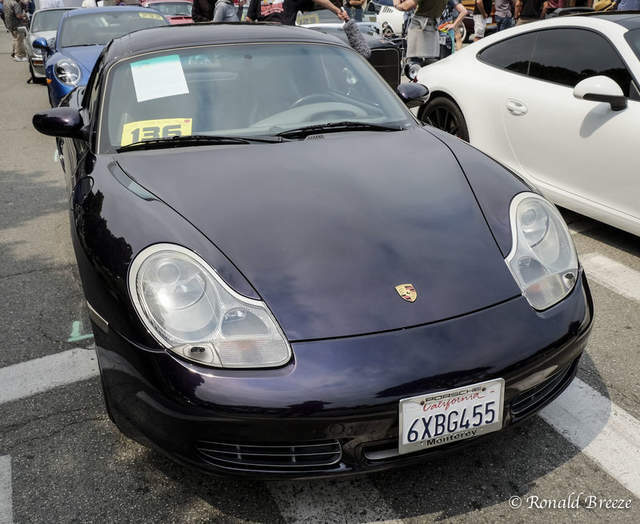 The owner said the color is Viola Metallic and was a color offered by Porsche for the Boxster. It is a color that changes hue depending on how the light is reflected. At some angles it appears blue, black or purple and all three. I've never seen this color before on a Boxster or in the Porsche Boxster color charts for any model year. Anyone else confirm this? Not very common, but still an official color. I've seen it on one Boxster - beautiful! There were different kinds of viola metallic available. Color codes: 39G, 3AE, W8 - which isn't a changing color and was used from 1994-1998. Color codes: 3C4, 3C5 - which was only available in 2000. I just picked up my 01 S in Viola metallic. I'm told it was 1 of 12 in that color. It was like $3K option. See the post on purple boxsters on this forum. Con't - My base 97 does the exact same - The title states multi-color. My 1997 Base model has the same "hyper-colorish" paint job. 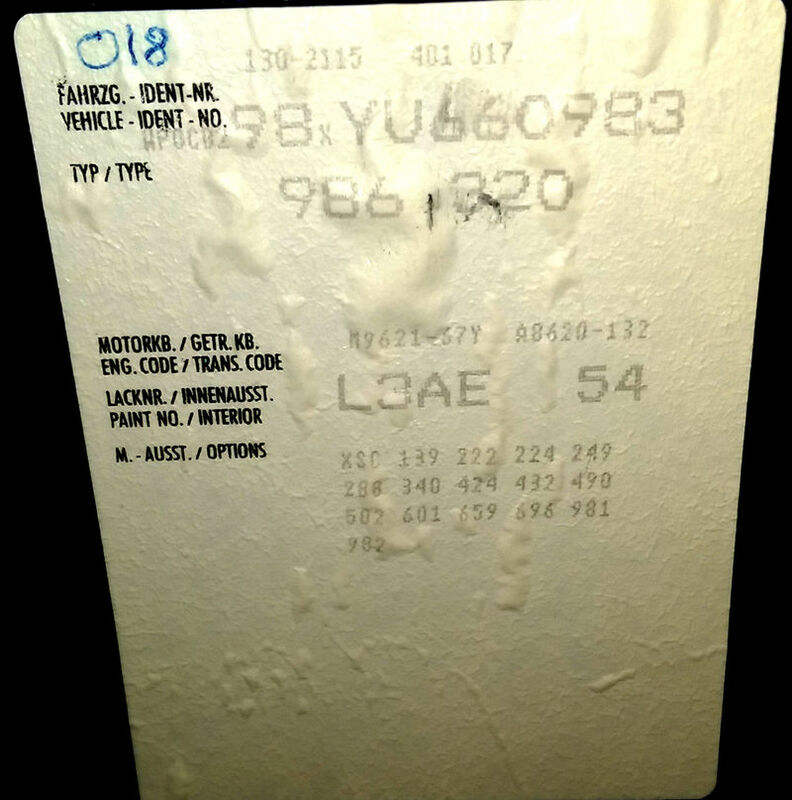 There is an options code sticker on the inside of the front trunk lid. 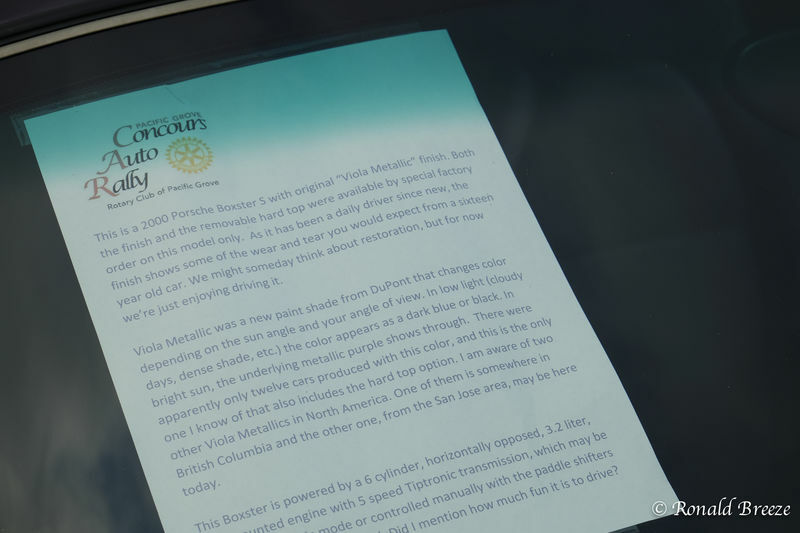 If the code is L3AE, it is an official, original, Viola Metallic finish. It was (so I have been told) available only on the 2000 Boxster S by special factory order, only.